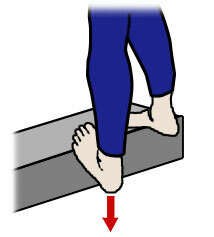 The “runner’s stretch” (the one where you put your hand against the wall and your foot out behind you) does not work. Period. More specifically, the foot will evert and all you’ll accomplish is to crank the foot into an unnatural position. The reason these stretches need to be done with the knee straight is that the gastroc muscle (the one that is usually tight) goes up past the knee to connect to the thigh bone. Therefore, bending the knee relaxes that muscle and makes it impossible to stretch it at all. 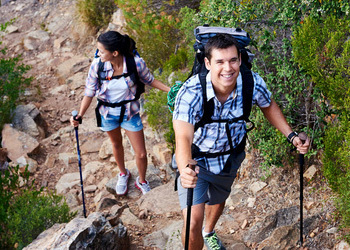 When the knee is bent, the soleus muscle is the only thing under tension and able to get any kind of stretch. 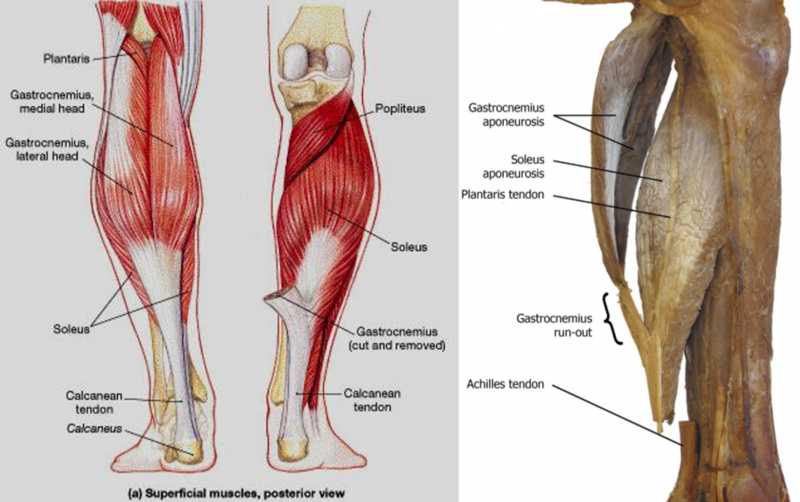 Both of those muscles (the gastroc and soleus muscles) blend together to form the achilles tendon. If these stretches don’t work, you might need to have a gastroc release procedure. Click here to print out a summary of these tips. 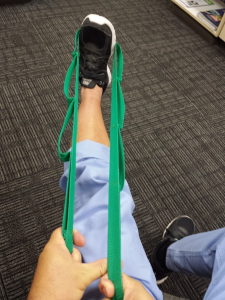 The gastroc stretch is a very important part of most of my patient’s recovery. 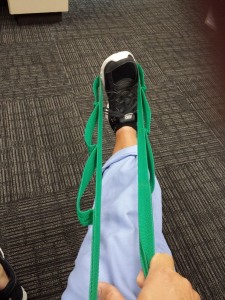 This stretch is done using a rigid strap/towel/belt/dog leash and NOT a large rubber band. 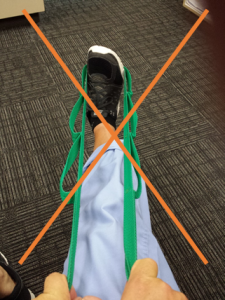 Therabands (large rubber bands) are for strengthening. This is stretching. Put on a shoe so that you have a stable flat surface. Put the strap/towel/belt around the foot just barely behind the ball of the foot, basically at the arch part of the foot. Make sure you completely relax the entire leg so that the knee is completely straight (extended). If not, you won’t get a true stretch. Then engage the hamstrings by straightening up your low back to rotate the pelvis. You’ll know you’re doing it right because you’ll feel the stretch now extend up to the back of your thigh muscles. Repeat the above sequence 2 or 3 more times. Do this 2 or 3 times a day if able. Even once a day is better than none. 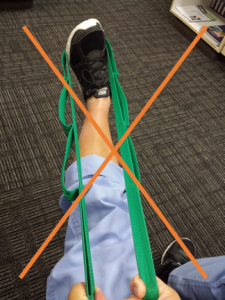 You will get a better stretch if you put something under the inner (medial) part of the forefoot. That means the part of the foot just behind the big toe.